SpeedART fuses performance innovation with attractive aesthetics. SpeedART constantly looks for ways to improve upon Porsche vehicles. SpeedART attains their goal of fusing performance and aesthetics with the best materials available. After the exhaustive research and development process, speedART manufactures its components with great precision ensuring the highest quality possible. SpeedART realizes that their customers expect outstanding quality and will only accept the best when it comes to customizing their Porsche. Commonly found on Indy and Formula 1 cars, rear diffusers are used to increase a vehicles aerodynamics by decelerating the turbulent air underneath the vehicle as it passes under the car. The reduction of this air turbulence decreases drag and increases stability at high speeds. 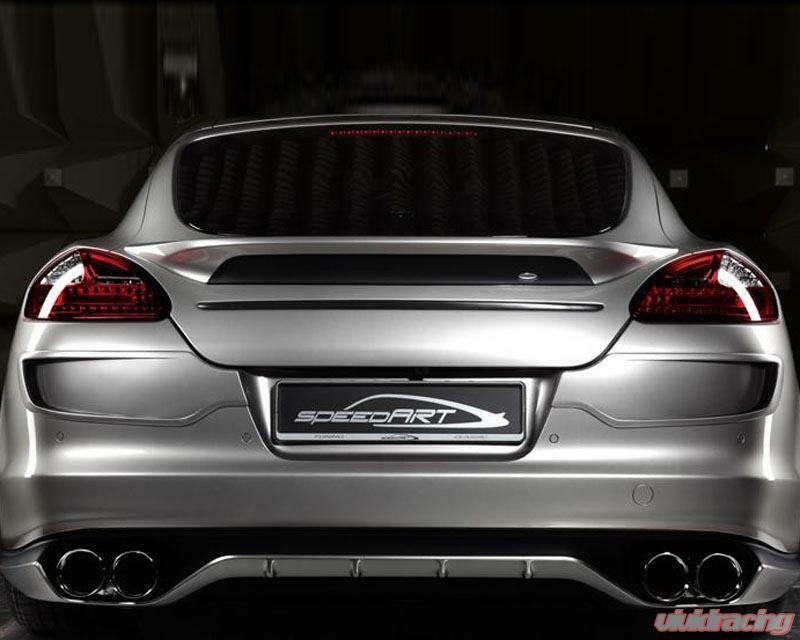 Besides its functional increase in performance, rear diffusers give the rear of your vehicle a unique accent. The rear diffuser is complimented by rear aprons on either side to help blend this addition in to the rest of the vehicle. 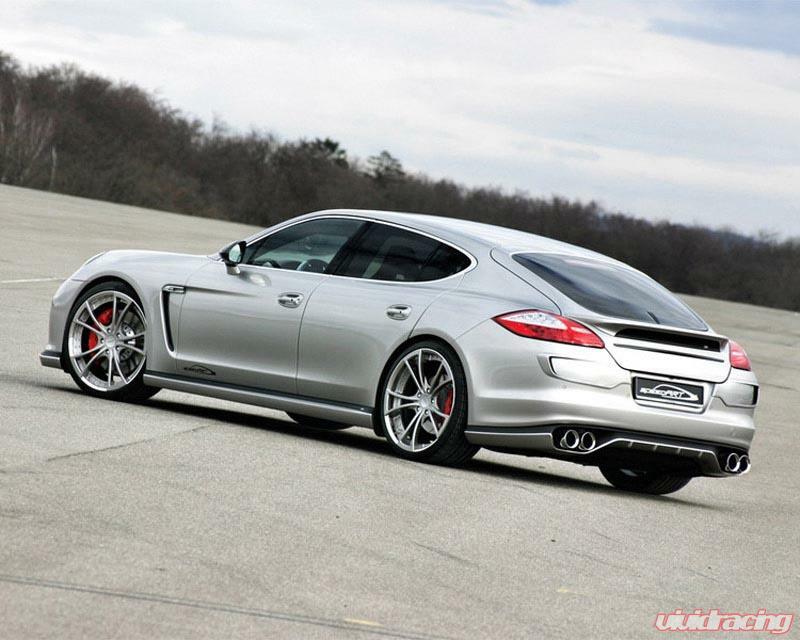 The rear apron gives the Panamera a lower stance without lowering the ride height or reducing ride quality. 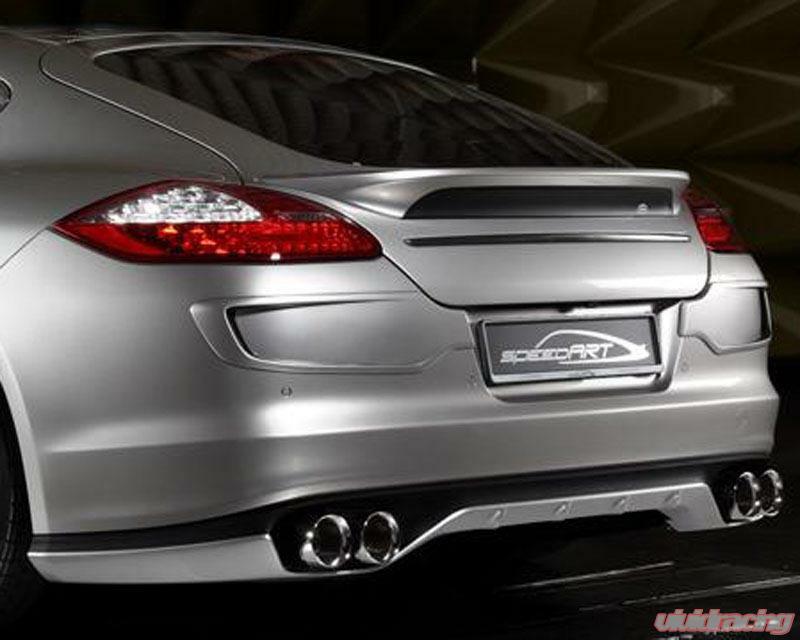 The rear apron and diffuser are constructed of durable polyurethane RIM to ensure longevity. Constructed of durable polyurethand RIM. Adds aggressive accent to rear of the vehicle.